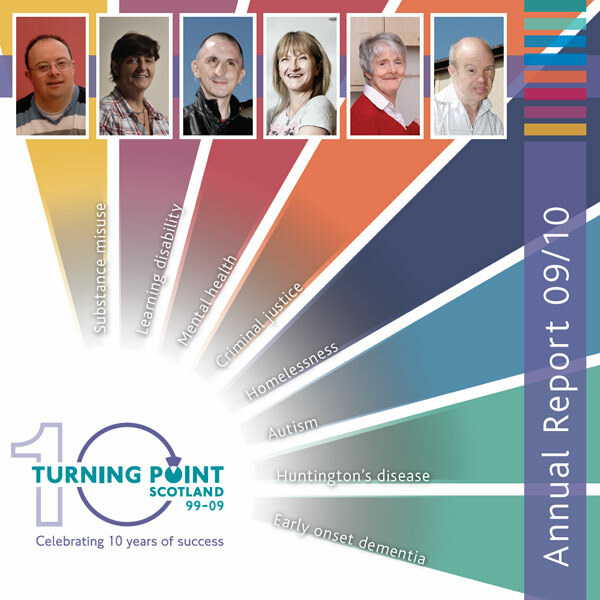 Turning Point started in 1993 when it was invited to create a new form of day service for individuals with severe and enduring mental health issues in Aberdeen. 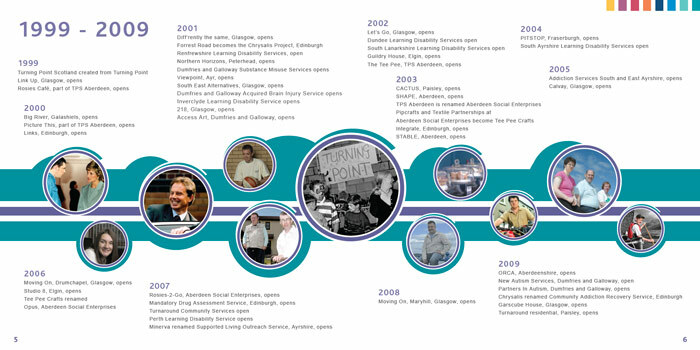 In 1994, it set up the Glasgow Drug Crisis Centre. 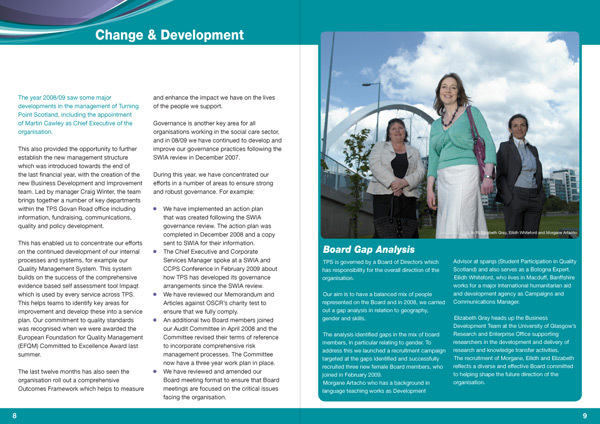 By 1998 it had expanded in Scotland and had a turnover of £4.5m-it provided substance misuse services, mental health, learning disabilities and homelessness services. 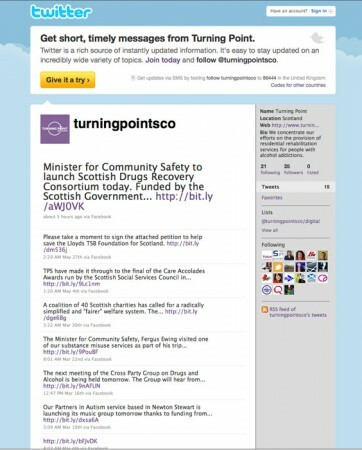 In 1999, Turning Point Scotland became a separate registered charity. It’s not committed to any one model of support or treatment; instead it works in a person-centred way. 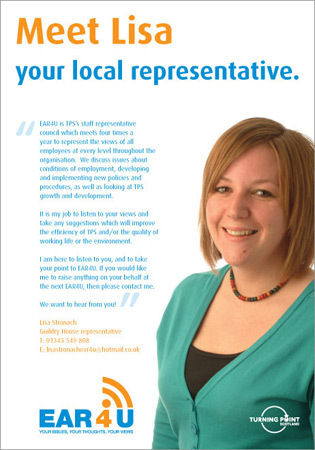 It doesn’t exclude people from services and aims to make services fit people, rather than the other way around. Obviously they face everyday challenges and a broad remit means that they’ve had to develop a sophisticated communications platform to tell everyone about the great work they do. 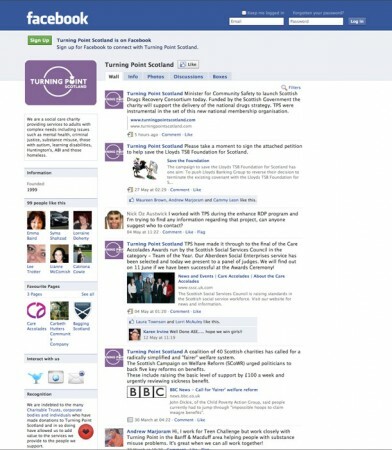 We’ve been working with Turning Point Scotland for a number of years and we’ve gone on from creating their Annual Report to designing and developing their social media platform. They’ also took part in our Wordshop, which has helped them to develop a unique verbal tone and seek out potential ‘stories’ in the work they do.